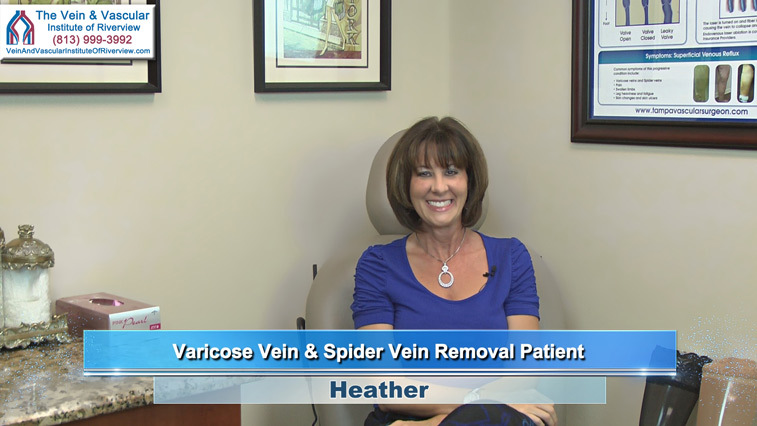 Heather, after vein surgery at The Vein and Vascular Institute, reviews Dr. Thomas Kerr and our whole team of vein specialists. Dr. Kerr’s state-of-the-art varicose vein removal techniques have left Heather’s legs looking great, free of pain and swelling and have freed her of the fear of losing her life to a blood clot. “I’m an Interior Designer and I’m on my feet all the time, my legs were hurting very, very badly. And a very good friend of mine told me about Dr. Kerr. I did a little research on the internet and looked him up. He’s a vein specialist. I came in, I had an appointment and he told me that my veins were very dangerous, and that I could get a blood clot and I could die. And Dr. Kerr is the best. I had VIP treatment. He was very compassionate, loving. I am a major baby, he held my hand and it was an amazing experience. Like I said, I’m a cry baby. It didn’t hurt. My legs are amazing. “Before I did the surgery, I’m in my car all the time driving. I would get out of the car and my legs would feel very weak and very tired. Now, I have no problems whatsoever. I get out of my car, I’m up. And obviously I wear super high heels, which I was told not to do, but I do anyways, because I’m a designer, and no problems. My legs feel fantastic, from morning to night. It was a wonderful job that Dr. Kerr did. I was very nervous, I was concerned, being 40-something years old, I was very, very concerned that I would throw a blood clot and die. That’s why I was in here getting it taken care of immediately. Since the surgery, I have no fear whatsoever about any kind of blood clots. And I’ve been to all their facilities because I had surgery at one facility and I had a surgery at another facility. I would recommend Dr. Kerr’s office for anything you need done with your veins. Spider veins can be taken care of here as well. 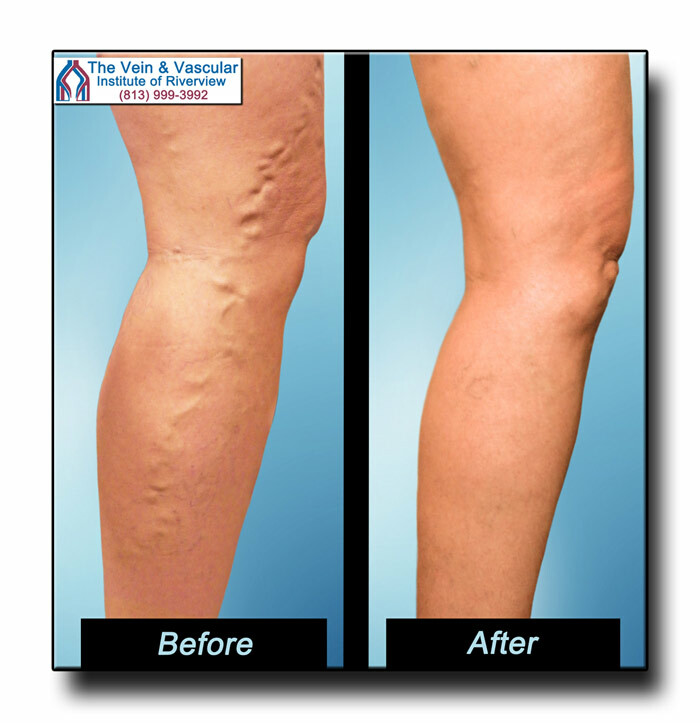 If you’re suffering from painful and enlarged varicose veins and if you’re looking for the best vein clinic in Riverview, FL that can free you from your leg pain and discomfort, then The Vein & Vascular Institute of Riverview can help. 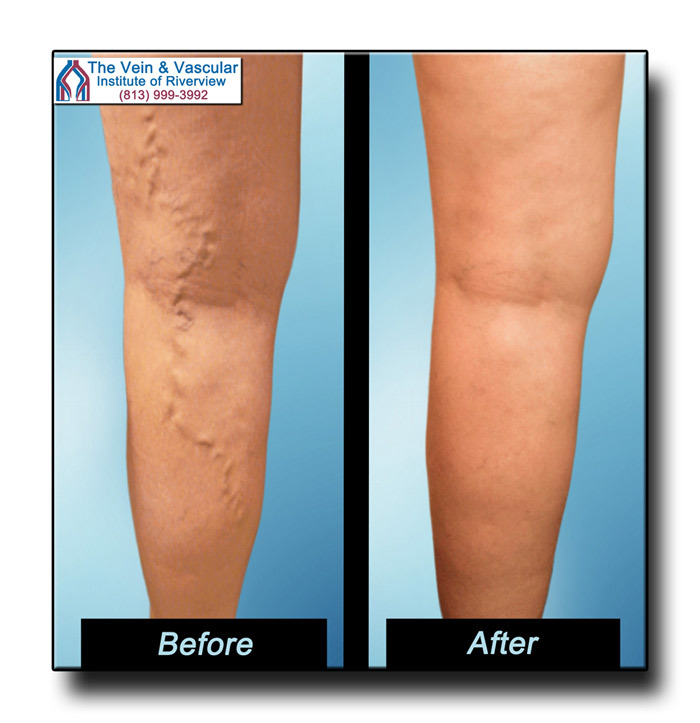 Our Riverview vein doctor can quickly and safely remove your varicose veins using laser vein treatment that offers quick recovery time and leaves you with minimal to no scars, just like varicose veins treatment Riverview patient, Heather. To schedule a vein consultation, give us a call today at (813) 999-3992 because at our Riverview vein clinic, we can change your life too.